starts on Friday May 25, at 7:oo AM & ends on Monday May 28 at 1:00 PM at our beautiful Home near Danielsville, Ga. If you play any instrument be sure to bring it for some pick’n and grinn’n, as there is always time for that. 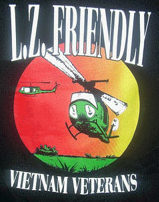 Check out our Web Site at “ lzfriendly.org “ where we are building a new site and would appreciate your input. Monthly meeting still held on the last SATUTDAY of each month except JULY and DECEMBER at 11:00AM. PLEASE come and break bread with us and be a part of this great organization. We need each one of you to keep the lifeblood alive.